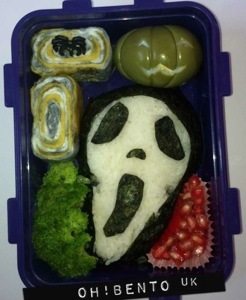 Oh!Bento’s favourite posts of 2012! 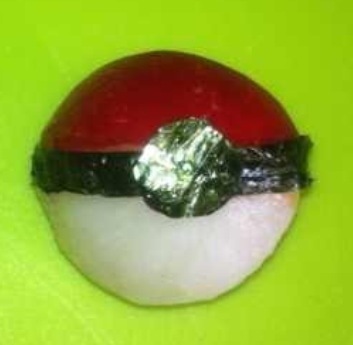 As it’s the end of the year I thought I’d make a small list of my 5 favourite posts of 2012!! 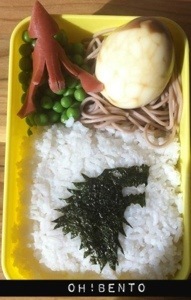 This list is made up of some of my personal favourite bento’s and also my favourite “helpful” post. I hope you enjoy and a very happy New Year everyone! 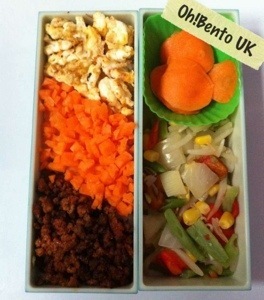 How to make a very cheap, extremely tasty bento! And again, HAPPY NEW YEAR!!!!!!! 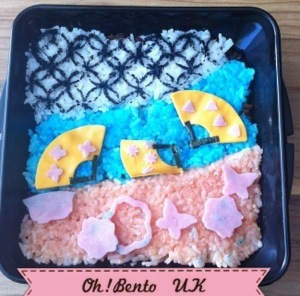 As some of you may have noticed, Oh!Bento has a new layout and a new logo too!!! This stunning new layout and the amazing new logo were designed by a lovely girl named Rebecca Fields. I think she’s done a great job and I’m sure you will all think so too! 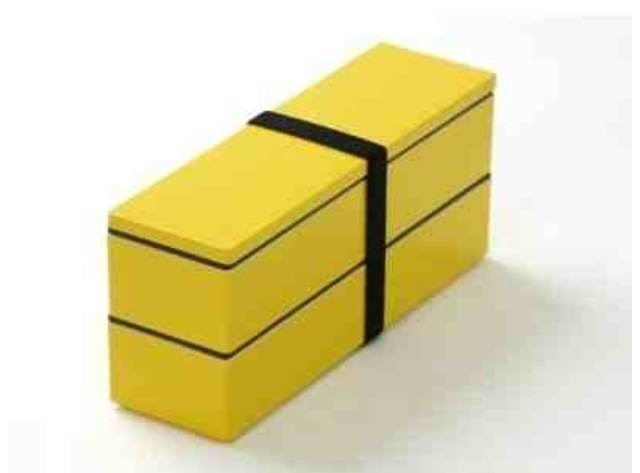 Today while out in Hull city centre I found this great little box in Paperchase which in Hull is inside House of Frasier. 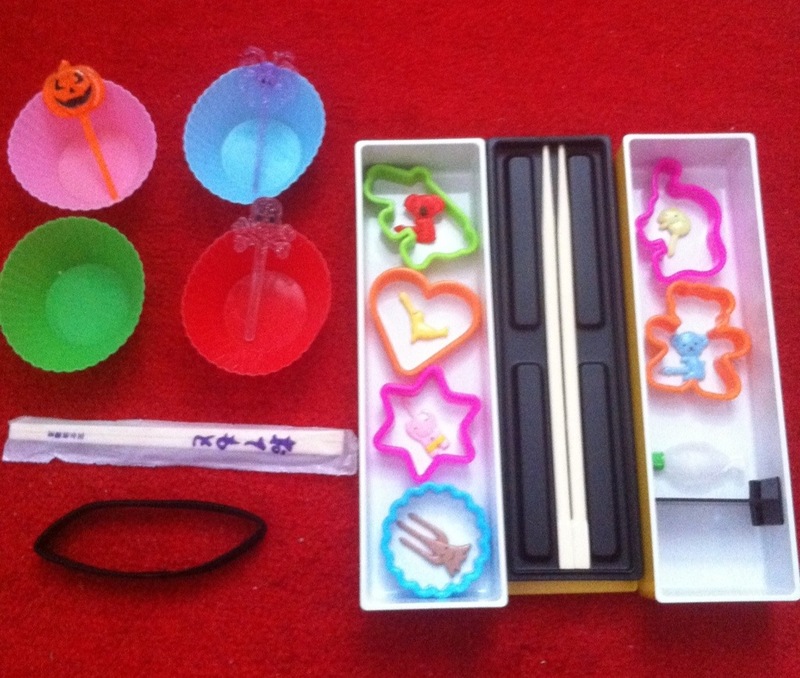 It’s 600ml with a moveable and removable divider, it also has a little layer that fits on top which can hold a fork and spoon ( included ) and some chopsticks ( not included ). 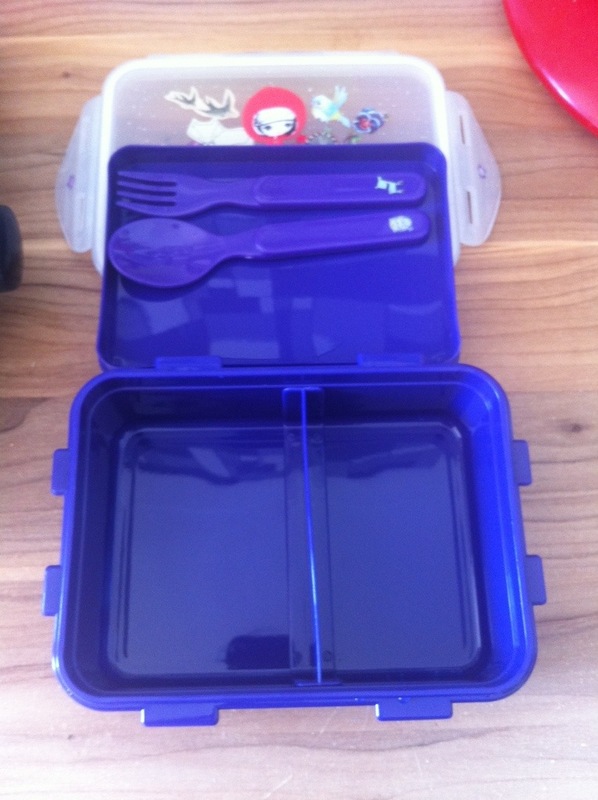 The lid snaps shut and as far as I can tell is pretty water tight! 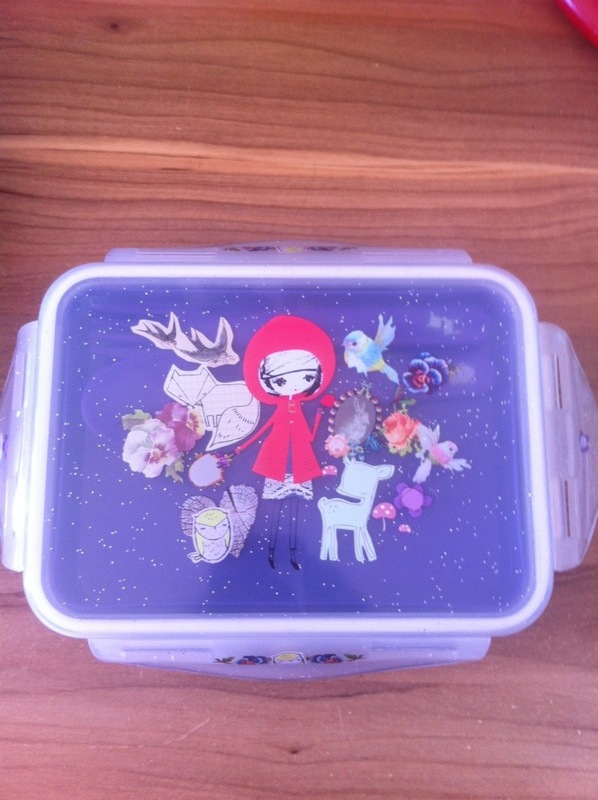 The box cost £6.75 which when compared to some boxes is pretty good!!! So with it being Halloween next month shops have started stocking in the usual Halloween fare, skulls to hang from the sealing etc. 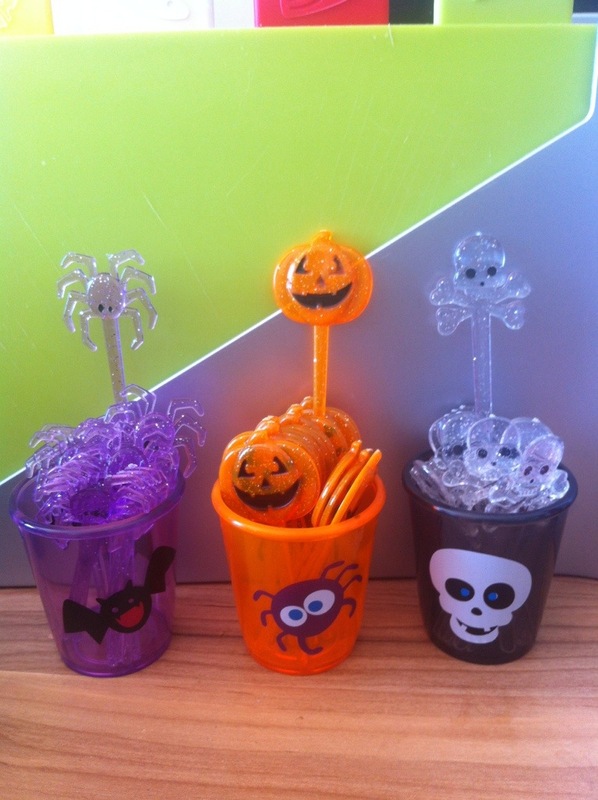 And while browsing in a shop in Hull called Discout UK, we were originally looking for wallpaper paste and paint brushes, I found these little Halloween “cocktail sticks” but in my mind that read “bento picks”. 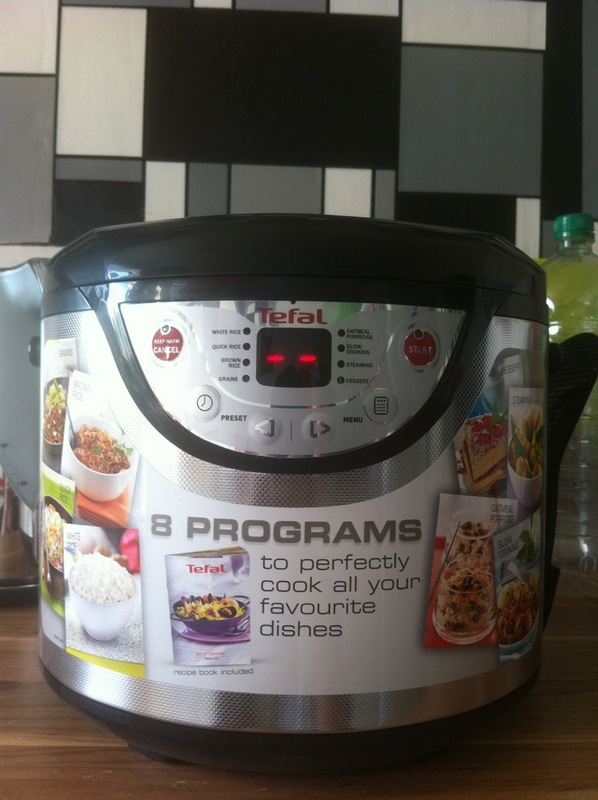 New Tefal 8-in-1 rice cooker!!! Since I saw this beast of a machine in Makro I knew I had to have one! Here is the Tefal 8-in-1 rice cooker on their own site. In Makro this machine was £39.99 excluding VAT, even so it came to about £47 which is a lot less than the £69.99 / £79.99 I’ve seen elsewhere. That’s right, a rice cooker than can also cook a great Victoria sponge!